We’re excited to announce that the Official MyBudget App for clients has been rated 4.7 out of a possible 5 stars since being launched last month. The app has the same functionality as the Members’ Website, with the added convenience of being able to manage your budget on the run from your smartphone or tablet. This short video shows how easy the app is to use. The Official MyBudget App is a major milestone in MyBudget’s ongoing focus on developing technology that makes budgeting even easier and more convenient for our clients. As part of that commitment, we’ll be listening to your feedback and releasing regular updates. 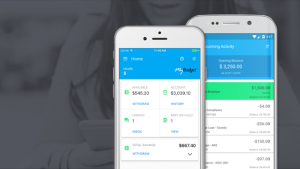 So, if you haven’t downloaded the Official MyBudget App already, please do so and let us know what you think. We’ve appreciated your positive reviews so far and we’re excited about rolling out more of these innovations throughout the coming year. It’s all about delivering caring money management and support so that you can live the life you want, free from money worries! Download the Official MyBudget App now from the App Store or Google Play, and simply use your Members’ Website details to log in.